As the work in my office moves forward, I have started working on some custom decor items. 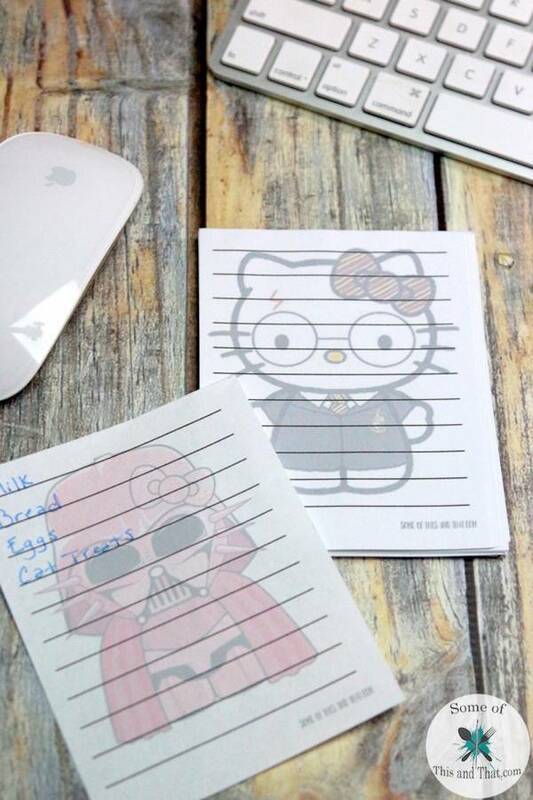 This week I really wanted some fun Notepads to keep next to my computer, but finding ones I loved was becoming difficult. So, I decided to make my own Customizable DIY Notepads! I may have gone a little overboard because I made a few different ones. But, you can never have too many notepads right? I tend to lose them, so the more the better, in my opinion. You can use your own images, or you can use the ones that I am sharing today. I love that they are so easy to make, and you can make them without having Photoshop! Check out the video below to see how I made the Customizable DIY Notepads! 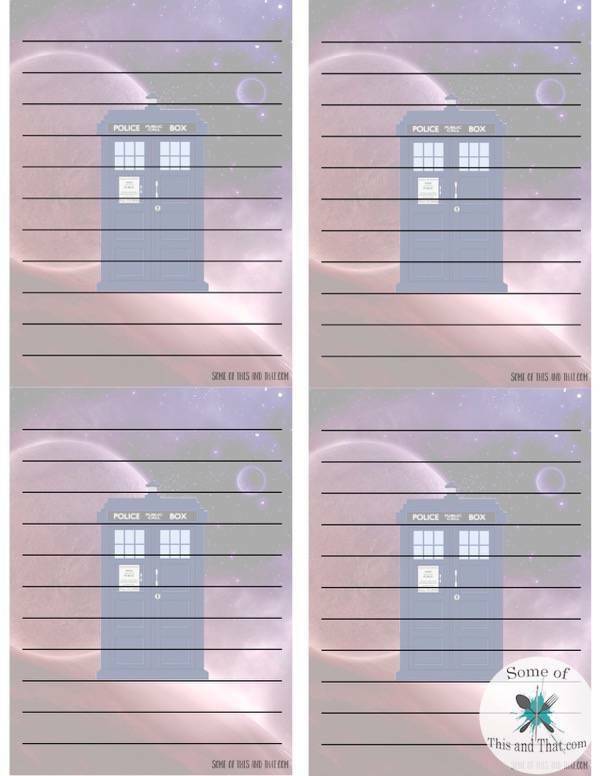 For the templates, I made a Galaxy Unicorn Notepad, a Doctor Who Notepad, a Hello Kitty Mashup Notepad, and a fun Nerdy Owl Notepad! 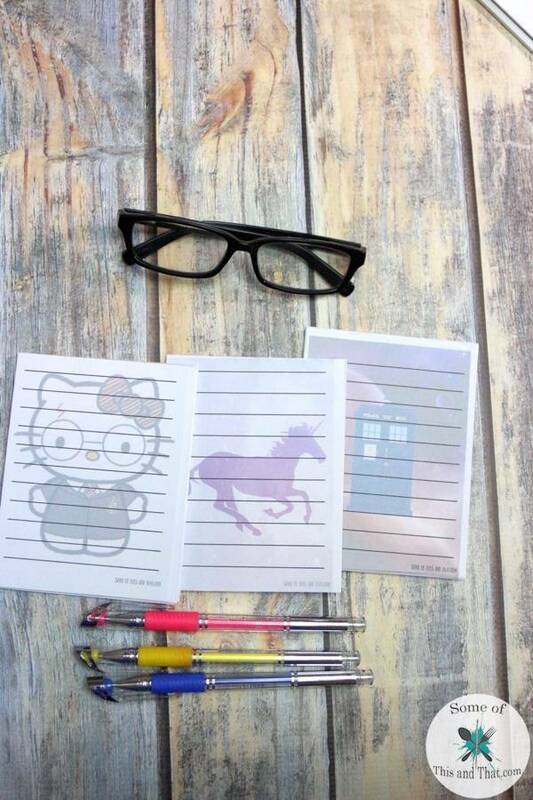 I love the Unicorn Notepads! Who does not love Unicorns and Galaxy? I had to do the Tardis floating through the Galaxy! Who doesn’t love a Mashup? 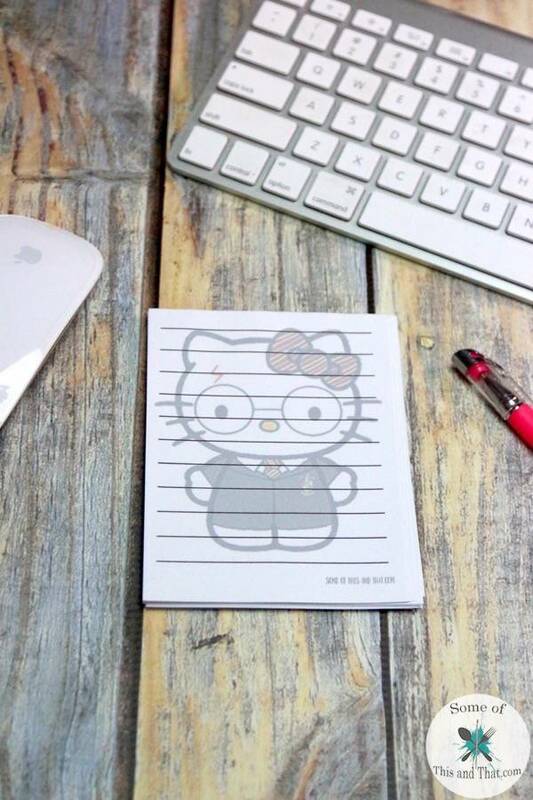 These Hello Kitty Notepads are ADORABLE! 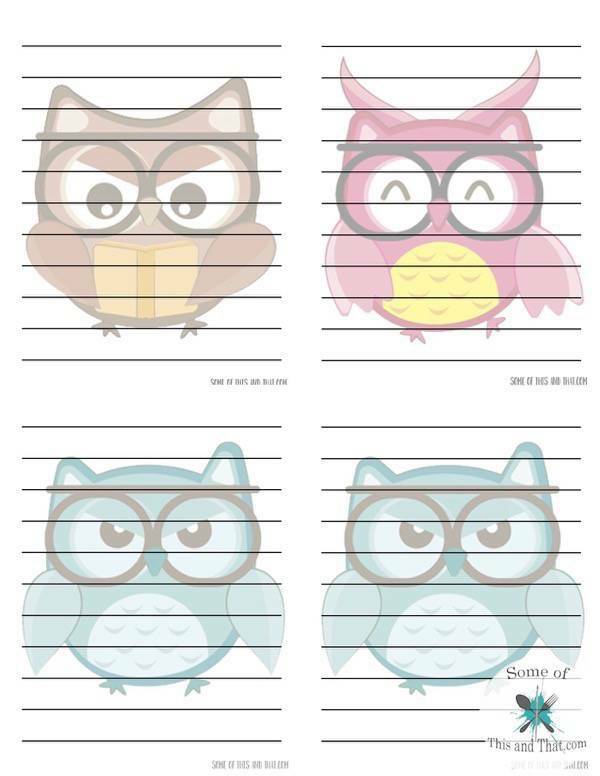 I absolutely love the owls too! 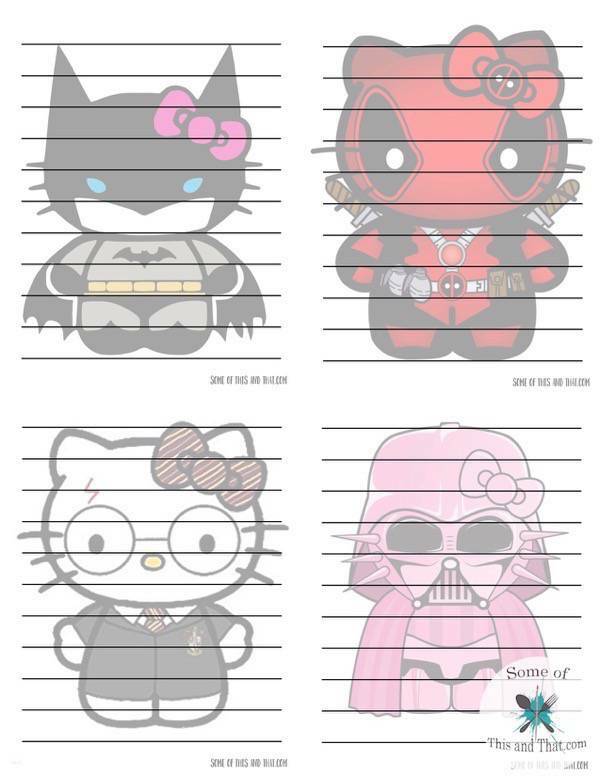 They are almost too cute to use! If you make your own notepad, which charters would you use? 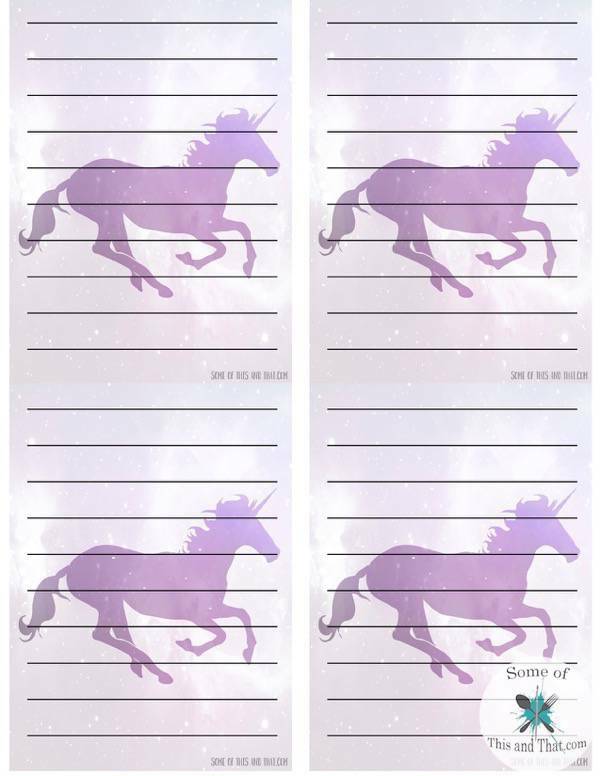 Previous Post: « Free Unicorn Planner Stickers!